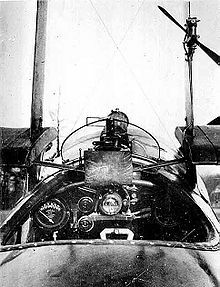 The Triplane was initially powered by the 110 hp Clerget 9Z nine-cylinder rotary engine, but most production examples were fitted with the 130 hp Clerget 9B rotary. 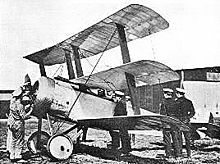 At least one Triplane was tested with a 110 hp Le Rhx�ne rotary engine, but this did not provide a significant improvement in performance. Another drawback of the Triplane was its light armament. While contemporary Albatros fighters were armed with two guns, most Triplanes were armed with a single synchronized Vickers machine gun. Efforts to fit twin guns to the Triplane met with mixed results. Clayton & Shuttleworth built six experimental Triplanes with twin guns. Some of these aircraft saw combat service with Nos. 1 and 10 Naval Squadrons in July 1917, but performance was reduced and the single gun remained standard. 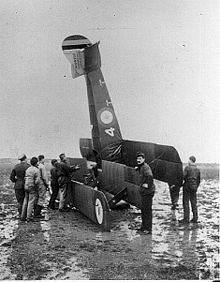 Triplanes built by Oakley would have featured twin guns, an engineering change which severely delayed production. 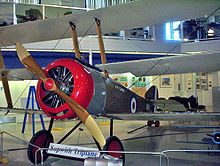 Only two authentic Sopwith Triplanes remain in existence. 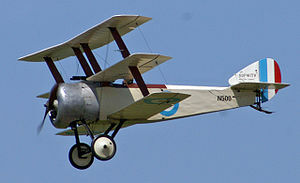 N5912 was one of three aircraft built by Oakley & Co. Ltd. and delivered in late 1917. The aircraft saw no combat service and instead served with No.2 School of Aerial Fighting and Gunnery at Marske. After the war, the Imperial War Museum displayed the aircraft in a temporary exhibition until 1924. In 1936, the Royal Air Force acquired and restored the aircraft, flying it in several RAF Pageants at Hendon. Today, N5912 is preserved at the RAF Museum, Hendon. The popularity of the Triplane has resulted in numerous modern reproductions, built by both museums and individual enthusiasts. Northern Aeroplane Workshops built a notable reproduction for the Shuttleworth Collection. The aircraft is painted to represent Dixie II, serial N6290, of No. 8 Naval Squadron. In recognition of the reproduction's remarkable authenticity, Sir Thomas Sopwith decreed it to be a “late production” Triplane. 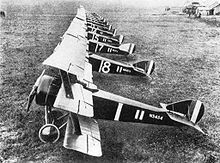 Sopwith Triplane Pictures and Sopwith Triplane for Sale.